Want to Maximize Table Turnover? The key to turning tables more quickly is communication. Server paging systems speed up the turnover in restaurants during peak hours. The key to a successful restaurant is efficiency. 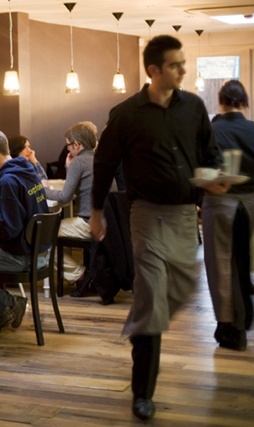 Pagers for waitstaff improve guest satisfaction and speed up table turnover. With a more efficient workflow, you can spend more time helping (and upselling) guests. Our server pagers are durable and easy-to-use for the kitchen and waitstaff of any busy restaurant. Restaurant guests like to be served quickly. Let your servers spend more time helping guests and less time fumbling around for their orders. A server paging system makes great service fast and easy!